I have been talking about the hazards of toxic chemicals for a while. The data has now built to the point where even the pushers can no longer ignore the facts. There is strong and growing evidence that some synthetic chemicals interfere with hormonal and other body functions and cause degenerative diseases and cancer. 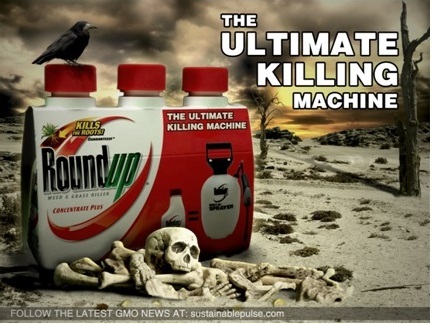 Although brilliantly marketed to be safe and quickly biodegradable, Roundup (glyphosate) is one of the most dangerous and seriously abused chemicals in history and responsible for many serious health problems. Roughly one in six children in the United States has one or more developmental disabilities, ranging from learning disabilities to serious behavioral or emotional disorders. 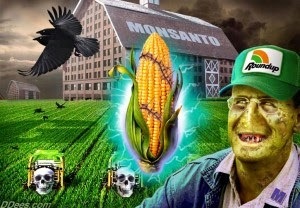 The increase in autism in children is in perfect sync with the accelerated use of Roundup in the United States. Glyphosate and the related chemicals used with this product hurt biological activity (microbes) in the soil and in the guts of wildlife, livestock, pets and humans. Not hyperbolic - look at the links we have provided. A child's developing brain is much more susceptible to the toxic effects of chemicals than an adult brain. That vulnerability extends from fetal development through infancy and childhood to adolescence. Stop using this product! It's really stupid. Some of the diseases directly related to pesticides (including Roundup) include: asthma, autism and learning disabilities, birth defects and reproductive dysfunction, diabetes, Parkinson's and Alzheimer's diseases, and several types of cancer. The connection to pesticide exposure continues to strengthen despite efforts of the chemical companies and universities that get their grants and support from the companies that make (AND PROMOTE) the products. The Pesticide-Induced Diseases Database, launched by Beyond Pesticides, facilitates access to epidemiologic and laboratory studies based on real world exposure scenarios that link public health effects to pesticides.